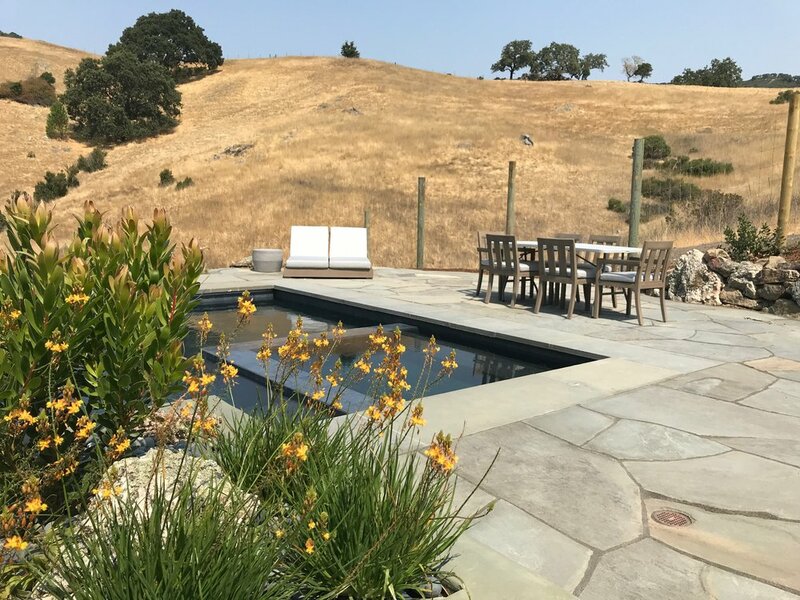 Project design, management and construction observation by Roth/LaMotte for new backyard, hillside retreat space with pool house, barbeque, dining, swimming pool/spa, patio with views to nearby ranch land. Work was closely designed and coordinated with John Clarke Architects. Construction by Hartwell Construction and Glen Springs Enterprises for landscape.